AudioBooks apps are apps that let users listen to their favorite literature in Audio format. It helps book lovers gain information from literatures, without having to hold hard copies. Audiobooks app comes in handy, in instances where you are unable to create time to read hard copy materials. Having to listen to the contents of your favorite literature, using your headphones is nothing but convenient. In this article, we are going to explore a list of best Audio book apps for iOS. Audible seems to the be leading the Audiobooks game. With more than 150,000 titles in its library, it is difficult to dispute that fact. 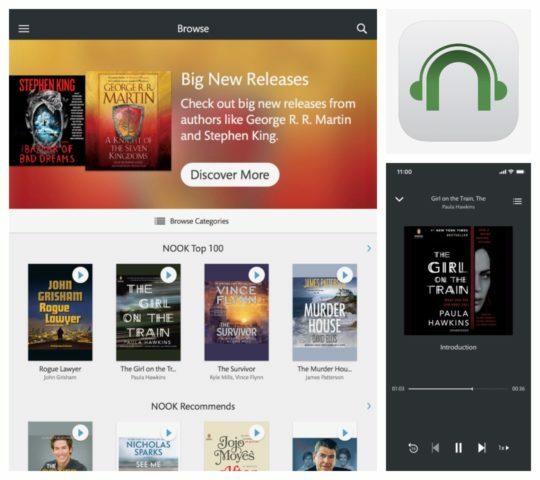 Audible is one of the most sought after Audiobooks apps today. Audible features awesome playback features, chapter navigation, bookmarks, sleep mode, variable playback speed, multitasking, support for background playback, downloading and lots more. Audible allows for seamless integration with the Amazon Kindle. You can also sync the Audible app with Amazon’s Alexa echo speaker, and have the speaker output the contents stored in the Audible App. Apple Books is Apple’s official Audiobook app, designed for iOS. It was tailored to meet the needs of iOS users, who love listening to audio books. Apple book has a unique feature that lets you keep tabs on the books you are currently reading. Once you start reading a book, the book will appear in the reading now section of the App. Another excellent feature of the Apple book app is the fact that it allows users to shop for books, directly from the app. Users can discover new books from the mini book store featured in the Apple book app. Developed by OverDrive, Libby is an app that lets users manage all Audiobooks they borrowed. Libby allowed users register more than one library card. Libby let users borrow audiobooks and ebooks, that can be read online and offline. Libby features a unified shelf that displays all books, irrespective of the format. Libby is available in the Apple App store for download. Google Play Books is yet another awesome audiobook app, available on the iOS platform. As you might have guessed, it was developed by Google. Google Play Books lets users listen to Audiobooks download on devices from different platforms. It enables users continue reading from where dey stopped, irrespective of the device they started their reading. The Google Play Book app lets you scroll along the timeline, jump to chapters, configure playback speed and snooze timer. 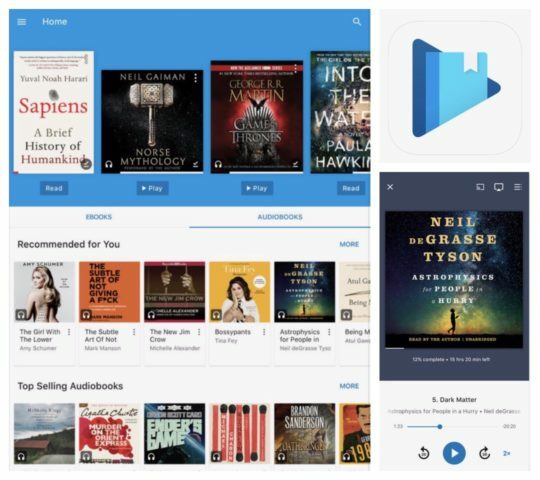 The Google Playbooks app lets users preview audiobooks, allowing them to purchase the books if they like it. 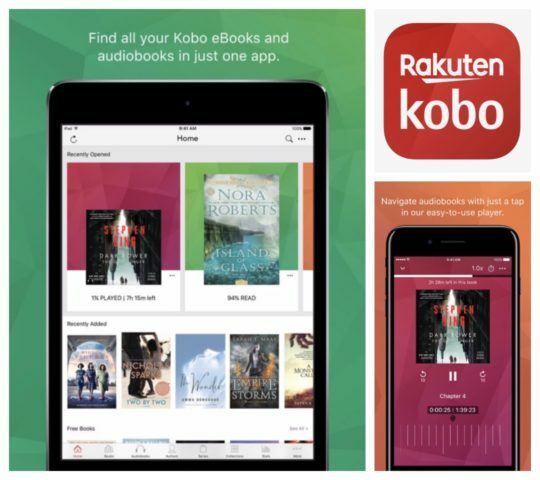 Still, on the topic of best Audio Books apps for iOS, Kobo is another excellent app, that allows users to listen to audiobooks seamlessly. Kobo offers a library full of rich ebooks and audiobooks, tailored to meet the needs of bookworms. It features an inbuilt books store that lets users find books easily. 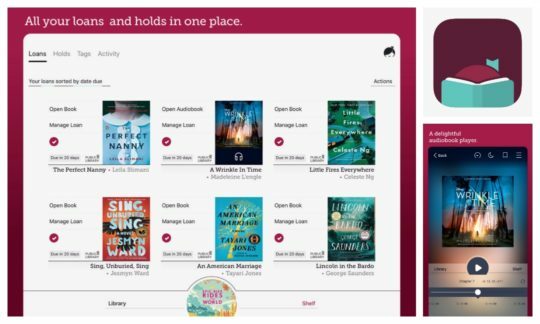 Listening to Audiobooks, Kobo features a timeline scrubber, time skip buttons, chapter navigations, playback speed configuration, snooze timer and lots more. Nook audiobooks is a particular Audiobook reader that offers something that most audiobooks apps don’t provide. Instead of subscribing to read books, Nook lets users purchase books, download them into their devices and listen to them via the app. The Nook book store features over 50,000 titles from their authors and different Authors. The Audiobooks now the app is yet another Audiobook app that allows users to listen to audiobooks seamlessly. The Audiobooks now app features an integrated market and an audiobook player. The integrated book store featured here has over 80,000 bestsellers and classics. They are making sure you never run out of content to read. 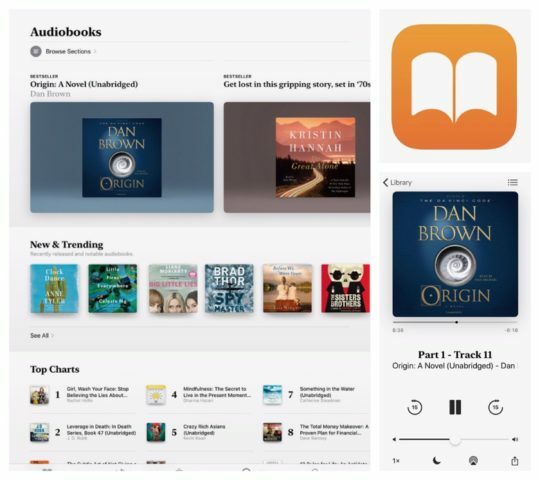 The Audiobooks now app features bookmarking, playback controls, incoming calls auto-pause, multi-device syncing and lots more. 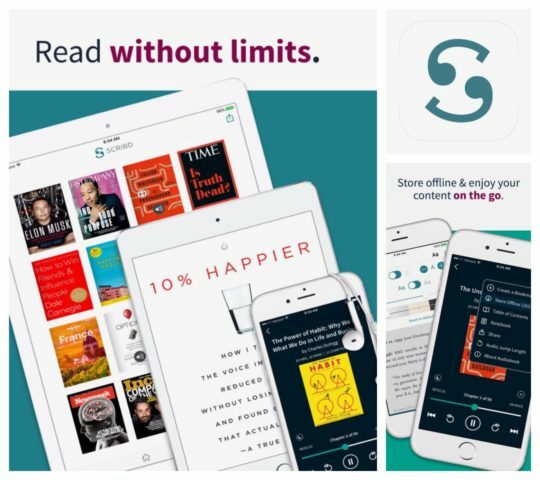 Scribd is an app that lets you listen to audiobooks seamlessly. It was designed for book lovers, to always be in touch with their passion. With Scribd, you don’t have to bother about buying hard copies of your favorite literature. Using the Scribd app, you are required to pay a premium fee of $8.99 per month. The bound app is yet another impressive audiobook reader, available on iOS. Bound lets users play audiobooks from cloud storage. This way users do not have to bother about having storage filled with books. Bound lets users stream DRM-free audiobooks from cloud storage providers like Dropbox, iClud, Google Drive and lots more. Last but not least, is the Downpour app. It features an integrated audiobook store, with a large number of DRM-free audiobooks for sale. The downpour also lets users rent audio books for 30 or 60 days. Users can access their downpour library, both offline and online. It also features the essential playback control tools, geared towards seamless listening of audiobooks. There you have it. You have just been served with a comprehensive list of best audio book apps for iOS. If you have other suggestions, feel free to drop them in the comment section below.